Yesterday/today a page was posted on Itoi’s site (see here) saying that the upcoming issue of “BRUTUS” magazine will include a four page discussion between him and Nintendo president Satoru Iwata, the theme being MOTHER 4. The page on Itoi’s site (which was written by the guy who came up with the article idea, not Itoi himself) says, “Just to be completely clear up front, there isn’t going to be a MOTHER 4.” The rest of the page basically says that there was originally going to be an article about Itoi in this BRUTUS magazine, but it eventually evolved into an article in which Itoi and Iwata talk about MOTHER 4, even though Itoi isn’t making one. It’ll be interesting to see what they have to say though! The magazine article will supposedly have a lot of other art like that, all done by the art director for MOTHER 3. …oh… =[ My dreams have been crushed. Is it weird that I’m hoping that someone scans in the article, just so I can see those little pictures? They are so cute and I love the Mother 3 sprites so much. I always get all excited with these stories. I don’t mind if there isn’t going to be a Mother 4. I just like hearing that it’s not forgotten. 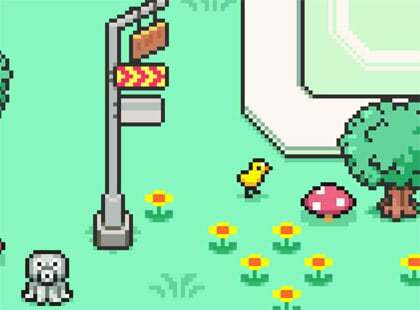 Personally, I’m wanting an EarthBound/EarthBound Zero Remake myself…..
@Masterge77, I agree, that would be nice too! I wonder if it would be worth it to email Itoi and tell him we’d be interested in a remake of both games for the 3DS or something. In any case, on the subject of this article, I can’t read Japanese at all, but through the wonders of Google, and sifting through it all (Alot of it came out garbled), but what I got from it is pretty much what we already know. Mother 4 would be nice and all, but I’m completely happy with 2 + 3. If Itoi is done and feels there’s no need for a Mother 4, then so be it. He certainly went out on a high note. 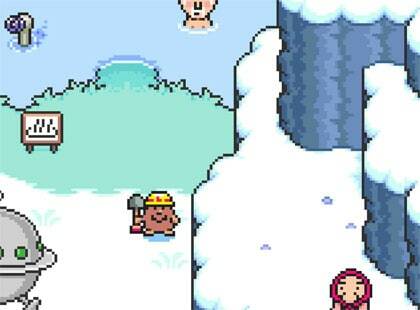 Mother 3 was ‘strange, funny, and heartrending’. Why, it’s ‘The Heartbreak Train’! Of course, if, in another year or two, you decide that M4 is totally doable, consider my last post totally void and nonexistent! BRING ON THE STARMAN ARMY! I dont care if a MOTHER4 comes out but I hope it will just to show NOA that we are still here! I still would really love a compilation of all three Mother games on a single cart/disc even if it’s Japan only. Considering how simple it was for Nintendo to simply dump ROMs onto a disc for Super Mario All-Stars I don’t see why it would be a problem. I’d prefer a comprehensive remake for all three; like the Zenithian Trilogy DS was for Dragon Quest. 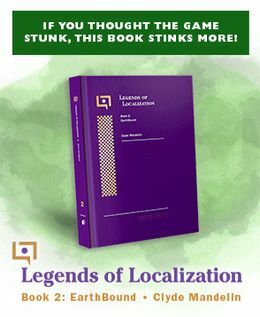 This would ensure that unlike MOTHER 1+2, it wouldn’t be a terrible port, and would also increase the chances of localization. DID SOMEONE SAY MOTHER 4?? The whole Mother Trilogy with 3DS graphics! I knew it was not a mother 4, for me i would care more about a M1+M2+M3 3ds, plus maybe some revamps for M1 graphics as well. But i know this is going to be something good coming soon, especially near E3. The Nintendo 3DS does play japanese DS games, but I don’t know about japanese 3DS games. True, but it’s region-locked, you can play Japanese DS Games on a American 3DS but You won’t be able to play Japanese 3DS Games on a American 3DS. Hmm…When I read the title I automatically assumed it to be an April fools joke. 🙂 Kind of reads like one too. Sounds like this will be an interesting discussion. If you make a “Mother 4 is released!” post tomorrow as a joke, i WILL have to kill you. I can’t help but find it amusing that they’re discussing something which has been confirmed to not come to be. 😛 Either way, I’m fine; I’m sure a MOTHER 4 would be amazing, but the trilogy as it stands feels so neatly completed that the lack of continuation doesn’t bother me at all. I think I’d prefer a re-release of the entire MOTHER trilogy. Honestly, I just want Itoi to make a new rpg. I almost die of exitement with the title of this post.. I think they wrote it like this just to tease Mother fans. The instant the words “Mother 4” are mentioned, fans around the globe go ballistic. I spit out my drink, almost screamed, and spun around in a chair just to be told that it’s not happening. :C Bad title page especially after the ‘Itoi visiting Nintendo news’ and all. I read this already from kotaku, needless to say, I knew that it must have been mentioned here too. Man, it’s hard being Mother fan, getting all jumpy whenever that “Mother” word came out from games blog. What can you discuss about a game that’s not being made? Aside from why it’s not being made? Maybe they’re discussing some concepts and ideas Itoi made before deciding to not make MOTHER4? What do you make of this Mato? I seriously doubt its authenticity, but it looks like the old Mother 1 + 2 commercials. Nvm, that was just my friend trying to trick me. Mother 4, to me, most likely won’t be coming out. But! Didn’t Itoi say that M3 wasn’t coming out either? Or was that my imagination? DAMN YOU, ITOI, TEASING US LIKE THAT. So they had a discussion about a game/concept that they admit will never exist? So, this means the article could be aboit various ideas Itoi had for games that didn’t get included into 1-3? 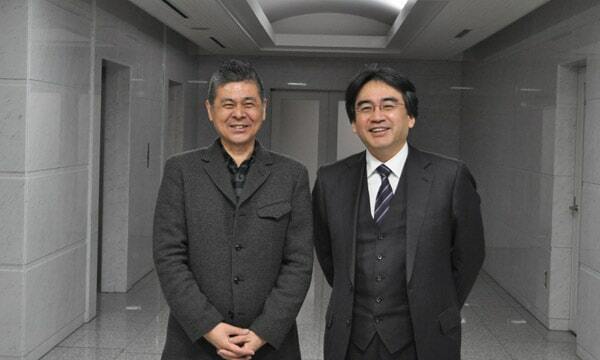 I can see him and Iwata just hanging out and chatting about different story ideas and stuff, just for fun. But you know, Mother 3 was resurrected when Miyamoto suggested to Itoi (in a cab, supposedly) that Mother 3 could be a GBA game… So who knows? Maybe Itoi will get some inspiration and want to make a fourth. I’m guessing the main deterrent wpuld be the fact that all three games were supposedly programming nightmares, or so I assumed. Oh the agony! This headline actually tricked me. After all immunity I’ve built up over excitement about MOTHER-related news, this actually got me! I think it was the cute little sprite pictures that made it so convincing. Even though if the game were just getting announced, no images would be ready yet… Oh well, nice to see it being discussed. Maybe it’ll help out the guys making the fan version MOTHER 4 incorporate Itoi’s ideas and keep true to his vision. theskillz69 – a lot of us already know about the two projects you keep mentioning. There’s no need to post about them in random blog posts. The Fangame is #1 on my awaiting stuff(Tied with SMBZ)But it is quiet sad that they told us that it is for certain not coming. At least it is not forgotten.I’m going to see if I can atleast get a reply post from Itawa concerning the post.Mother is a classic masterpiece that I will always love.The story is always touching and I think that sometime in the near future, there will be some news concerning the mystery that is Itoi’s choice to not continue the series. Personally I’m perfectly happy with just keeping the three great mother games we’v got; making more sequels just increases the chances of a possible misstep, especially if Itoi doesn’t really want to make one. and as long as we’re discussing the Mother Trilogy on 3ds, I was thinking that it would be cool if they kept the 2D style and two-thirds camera angle, but update the pixelated sprites into 2D cutouts on 3d backgrounds, like Paper Mario. It would be the perfect style for the Mother games. also NINTEN FOR SUPER SMASH BROS 4!! !